After some info on the Lower Gearbox Mount on a Cup Car Gearbox. As i understand it these are somewhat of a "special" using MA Bellhousings but BE3 casings (I'm happy to be told otherwise if i'm wrong of course - not my forte). Basically the mount on the gearbox end of my buddy's cup car decided to tear itself out of the casing on the last rally. It took the lower M10 bolt and it's thread in the casing with it. We believe the problem was the torque link from the chassis to the gearbox is incorrect and has been bodged up, by the previous owner. It defo doesn't look like a PS fabricated bit of kit, and neither does the mount on the box, but we could be wrong. 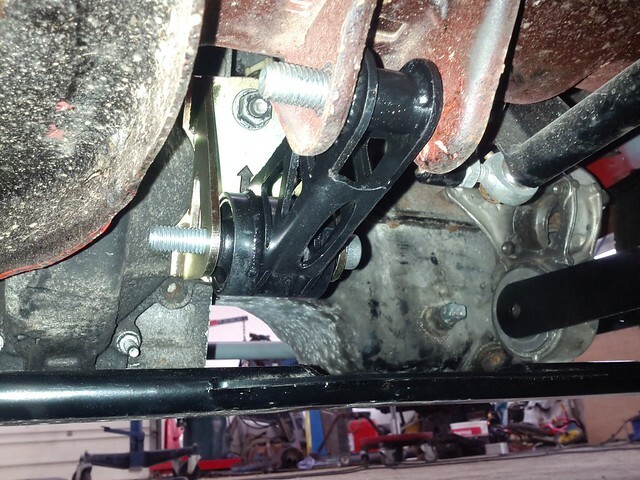 What we would like in the ideal world, a few photos of a cup car gearbox mount, it fixed to the chassis and a couple of photos around it would be excellent, to see what we are working with and the level of bodge that has been applied to aforementioned. The 'box itself is coming out tomorrow evening anyway and i'll get some photos of it beforehand. 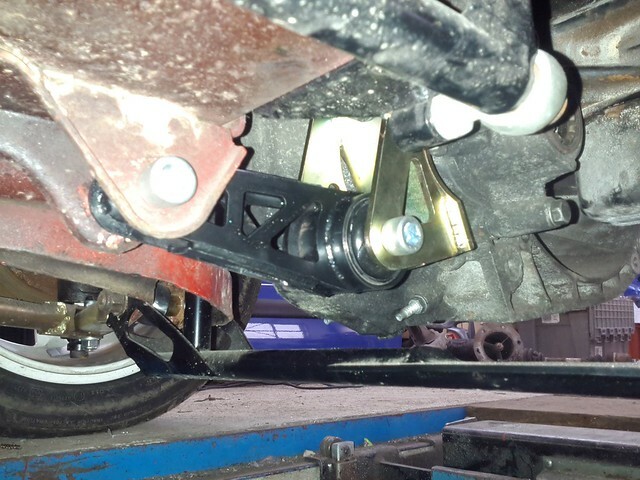 The possible solution we have is to re-tap the box to M12 and fabricate a new mount & torque link with rose joints. Once again, thanks in advance to those in the know. Yeah Paul's looks a hell of a a lot different to that. A rubber at each end and a nasty mild steel bracket on the box. Many thanks, i put some pictures of Paul's up tomorrow. 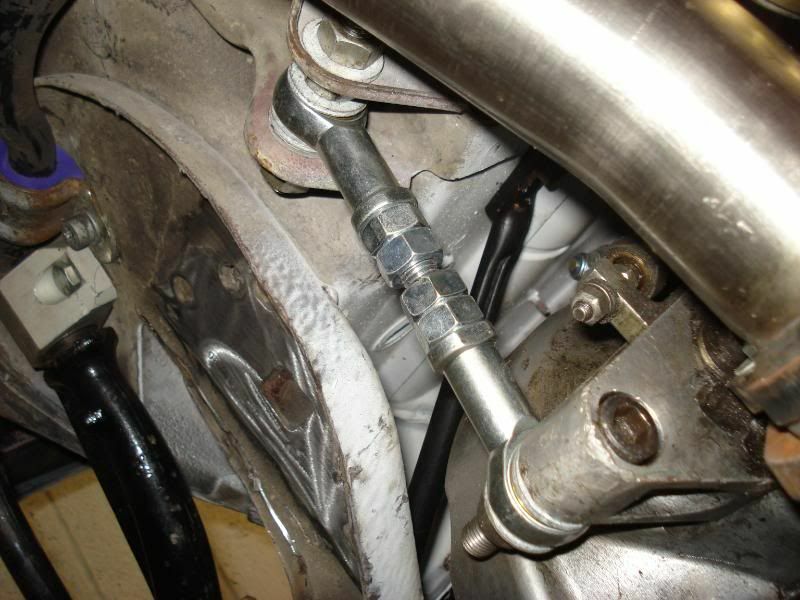 the cup boses were a special bellhousing cast up for peugeot and citroen sport, its a BE3 box. 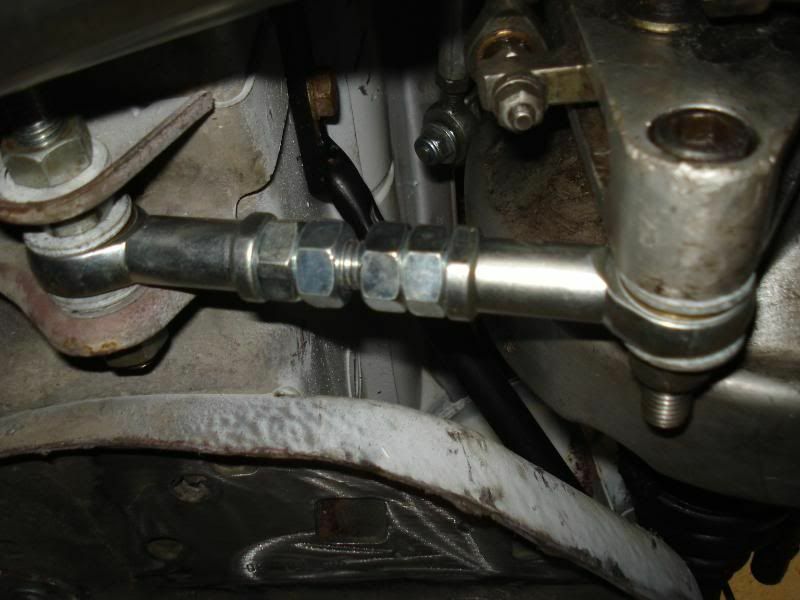 annoyingly they used a single piece RH shaft which is why they cup cars torque steered a bit, and the bellhousing angle is different to the later Production car TU-BE4 boxes which had the long inner shaft to place the CV further out and utilised the intermediate bearing carrier. the mount on the casing should pick up on both M10 threads on the speedo drive side of the diff housing cover, best bet would be a helicoil and use the normal M10 bolts. I've got a picture of a Satchell mount, might have one of a cup car type elsewhere. "The mount on the casing should pick up on both M10 threads on the speedo drive side of the diff housing cover, best bet would be a helicoil and use the normal M10 bolts"
Which is what we had hoped to do but it'd already been hellicoiled and not well either. From the look of the mount that Dave posted it's clear what we have is not correct. We looked at the Satchell mount. It's obviously a lovely bit of kit but i assume for the wrong bellhousing. I couldn't see that they did a cup car version? Thanks Welshpug, if you have the cup car photos that would be great. it'll fit the cup car casing fine, the diff cover is the same, but the length of the link may need to be different due to the variation in angle, its very small though. unfortunately this is the only picture I have of a cup housing.